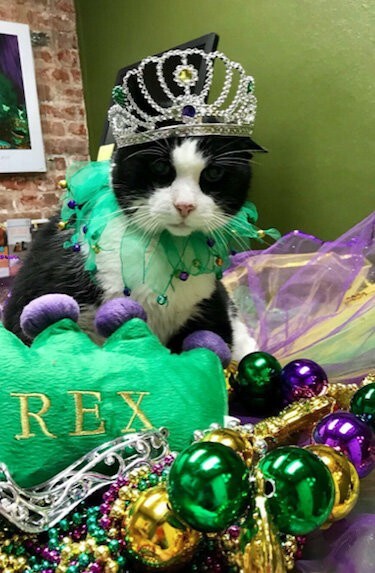 Queen Lily and Queen Blacktop and their royal court and ready to celebrate Fat Tuesday. 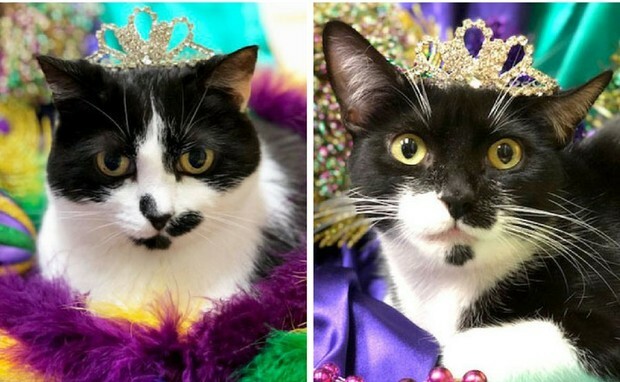 All hail the royal court of Endymeow 2018! 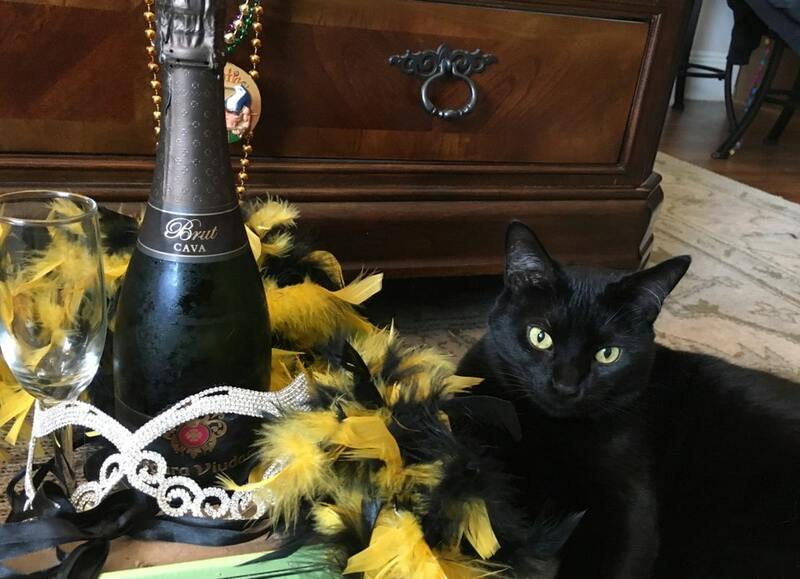 The Cat Practice in New Orleans announced their feline royalty at their 22nd annual bal masque with this year’s theme, Louisiana Tricentennial 300th Anni-Fure-Saire. 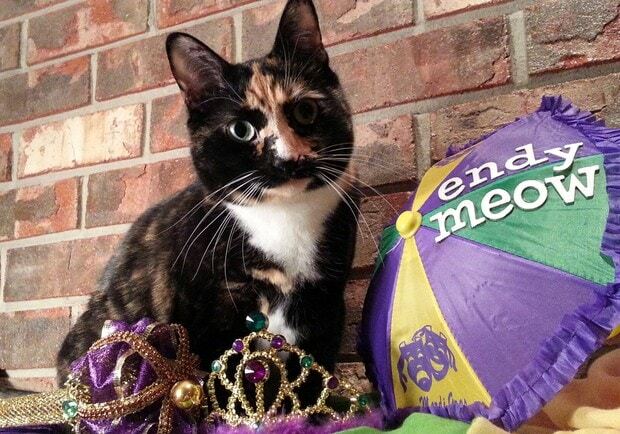 This year the Krewe of Endymeow presented two queens, Queen Lily and Queen Blacktop. 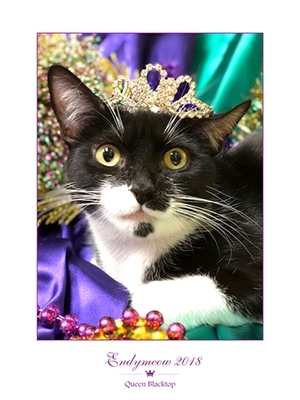 Joining them in the 2018 court are Maid Sassafras and Dukes Bosco, Churchill, Faust, Fluffer Nutter, Jack, Jazz, Minou, Moose, Prince, Thomas and Vinny. 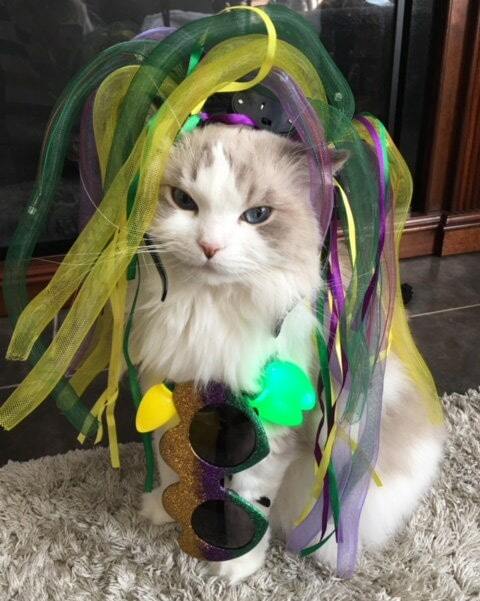 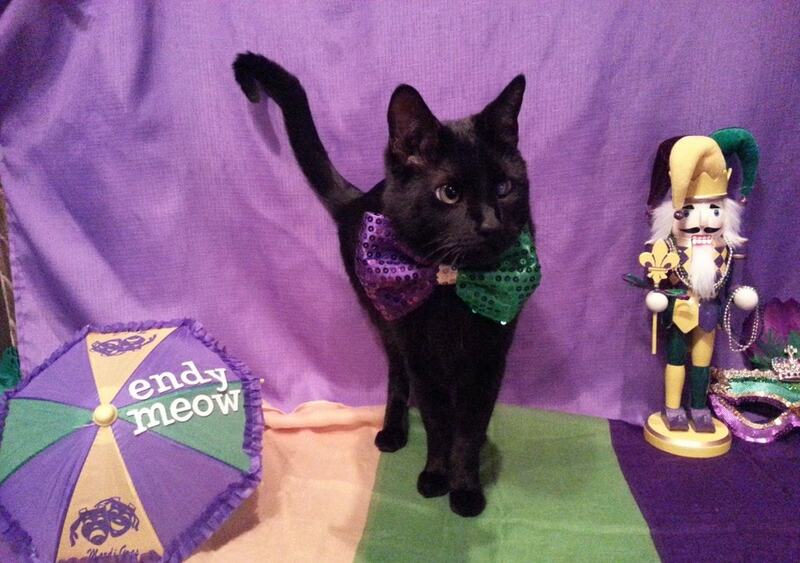 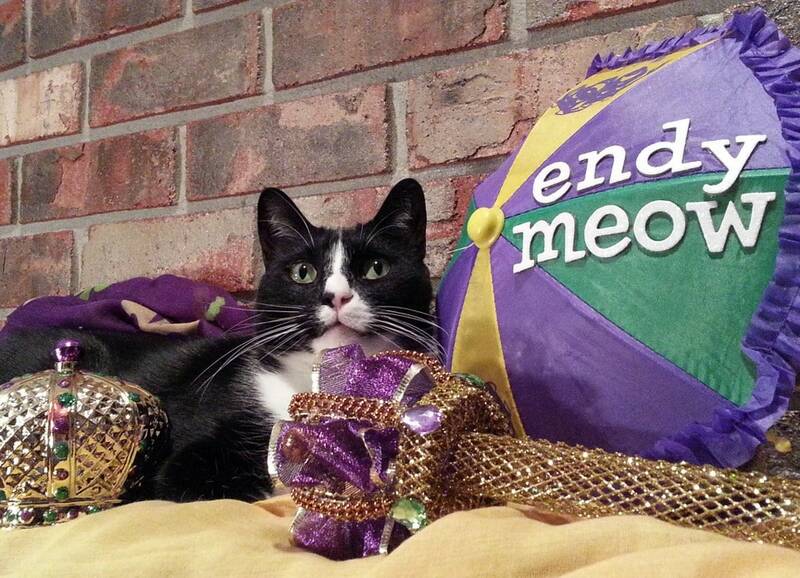 Veterinarian Mark Cousins created Endymeow several years ago as a way to celebrate all things feline during the Carnival season. 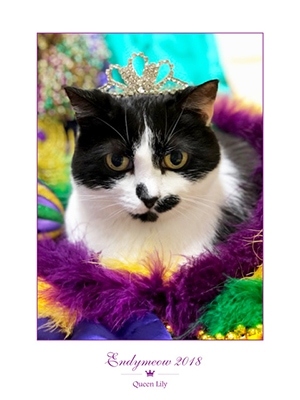 With dogs already having their own organization, Barkus, it seemed appropriate that cat population get the same royal treatment. 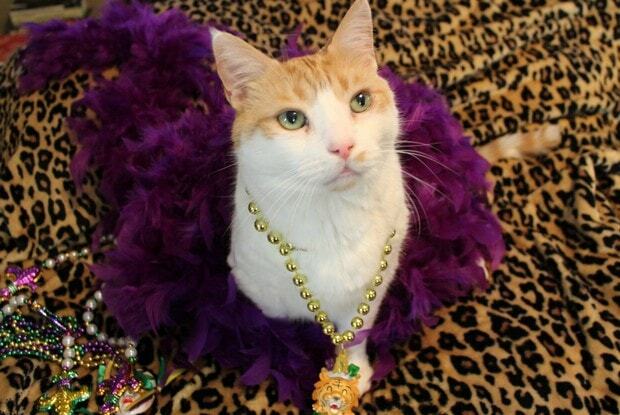 Originally, it began with The Cat Practice parading cats in their crates through the neighborhood. 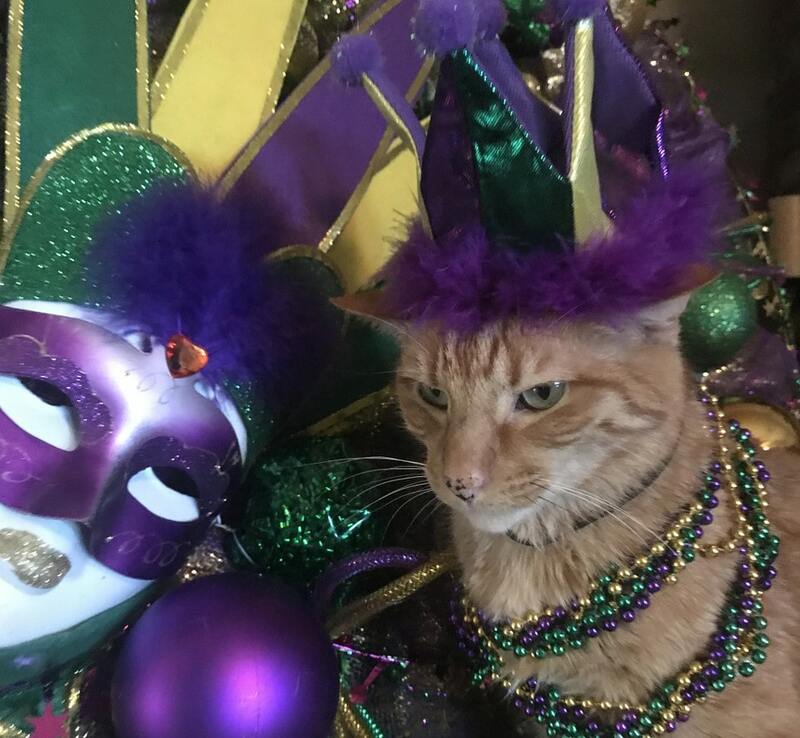 These days, the cats aren’t required to attend. 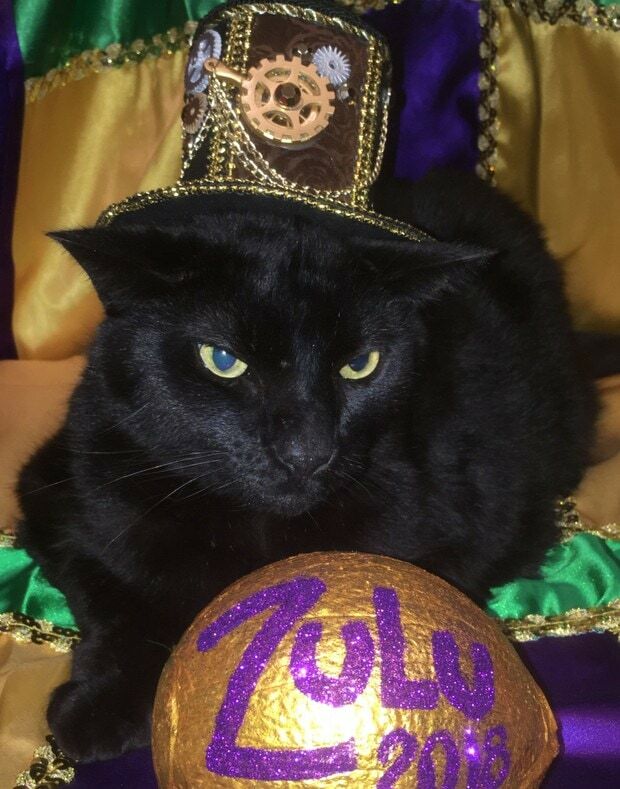 Rather, owners submit photos of their prospective kings and queens dressed in their Mardi Gras finery, for consideration during the highly secretive selection process. 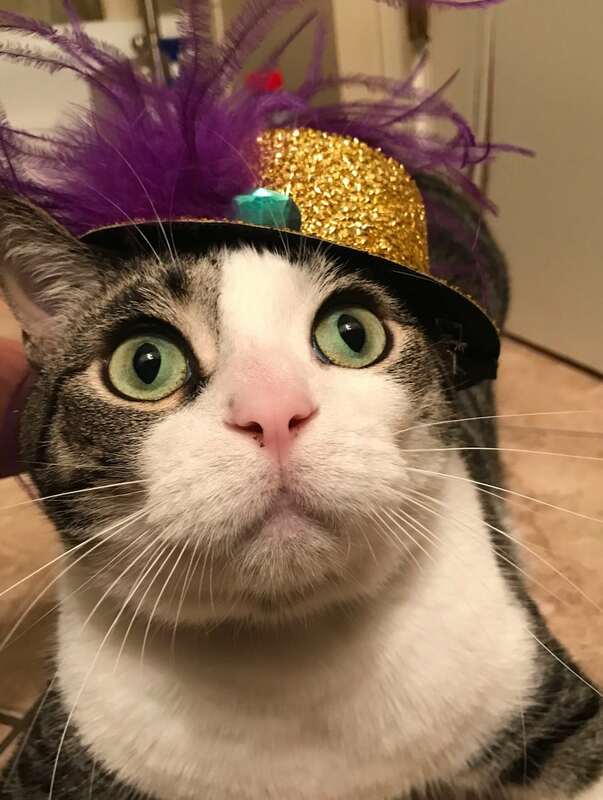 The court is then announced at a people-only cocktail party. 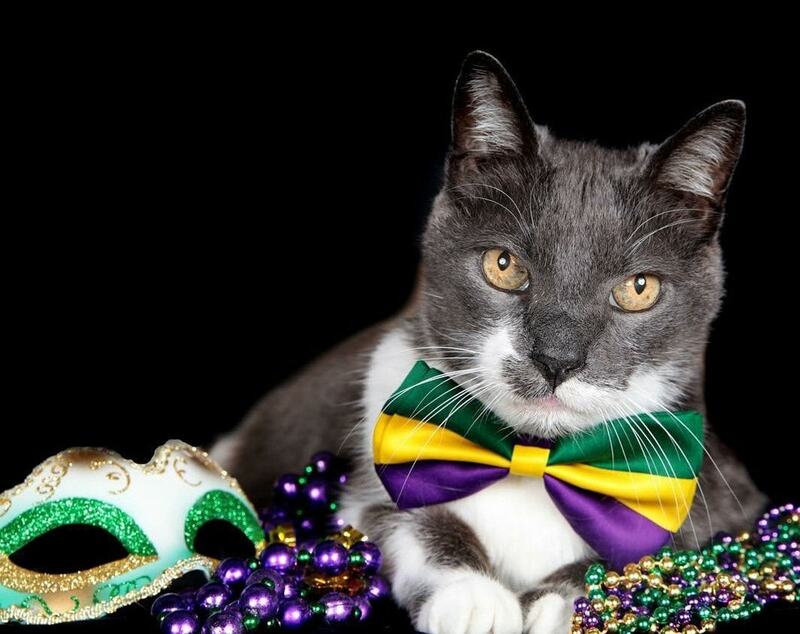 So, as they say in New Orleans, laissez les bon temps rouler! 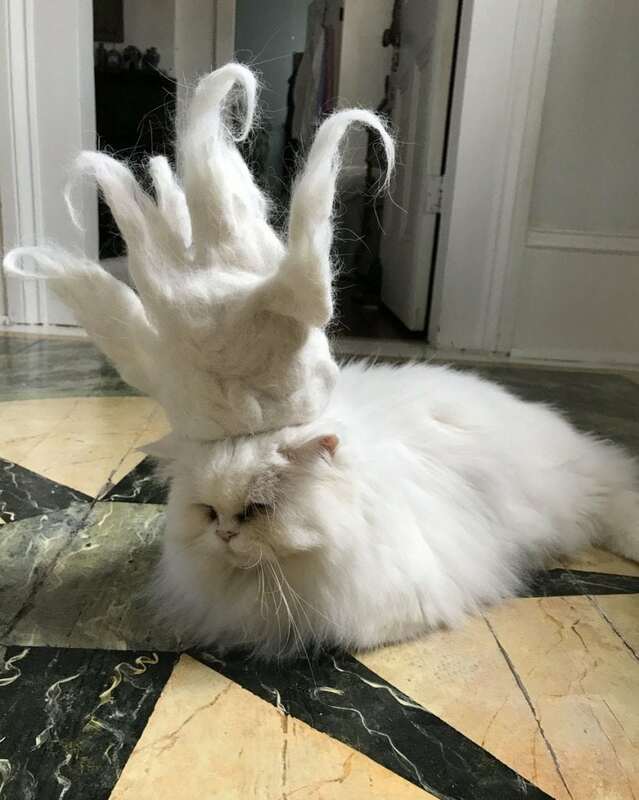 Can You Love Your Cat TOO Much?